It's starting to seem like my life revolves around packing and unpacking my duffel bag. All this weekend traveling is really making the weeks fly by! This weekend, we met at our coach bus at 6:30am on Friday and hit the road for a 5 hour to Portugal! Luckily, my senora had packed Ariel and I some breakfast for the road and we got to stop a couple times along to way for a rest stop/coffee break. We arrived in Lisbon around 1:30pm, dropped our bags at the hotel, had a few minutes to freshen up, then we met with our guide who brought us on a bus tour of the city. 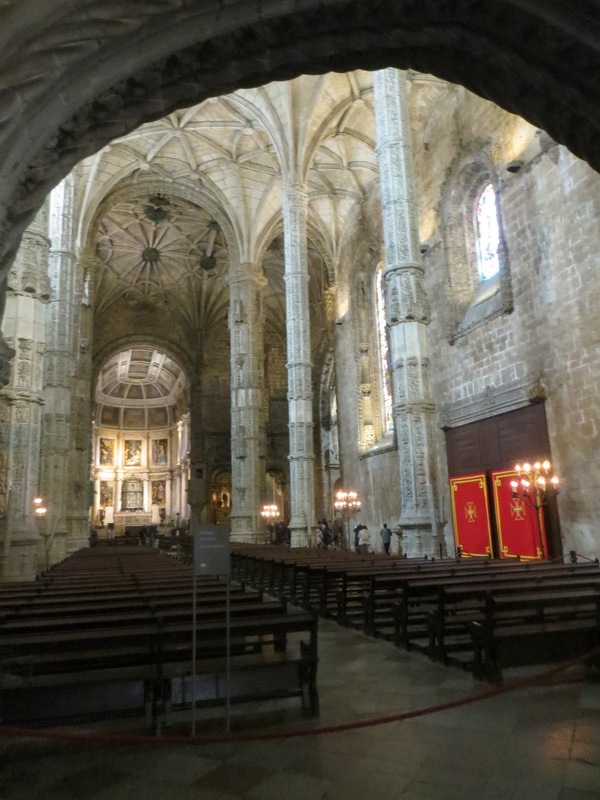 Along the tour, we had a chance to stop a few different hot spots, such as the Cathedral which was designed to look like the inside of a cave, to take some pictures and walk around. We also stopped at a well known bakery called Pasteis de Belem to try their famous custard pastry, which was delicious of course! After the tour, we had some free time to walk around the shopping district and grab some dinner before heading back to the hotel for an early night. 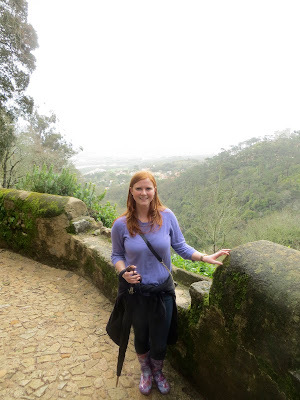 The next morning we ate breakfast at the hotel and got back on the bus for a 1 hour drive to the beautiful city of Sintra, nestled alongside a hillside with its very own castle. We were given free reign over the three hours we spent there and a group of us decided to climb up the hillside towards the castle on top. Hiking along the trails of the plush forest gave us the chance to see some amazing views of the city below and burn off the custard pastries from the day before! After poking around in a few souvenir shops and enjoying a cup of coffee, we were back on the bus and headed to the coastal city of Cascais. Luckily, the sun decided to poke through the rain clouds that day and we had a beautiful afternoon wandering along the beach and through the harbor, all the while enjoying a few ice cream cones and taking pictures of the stunning views. 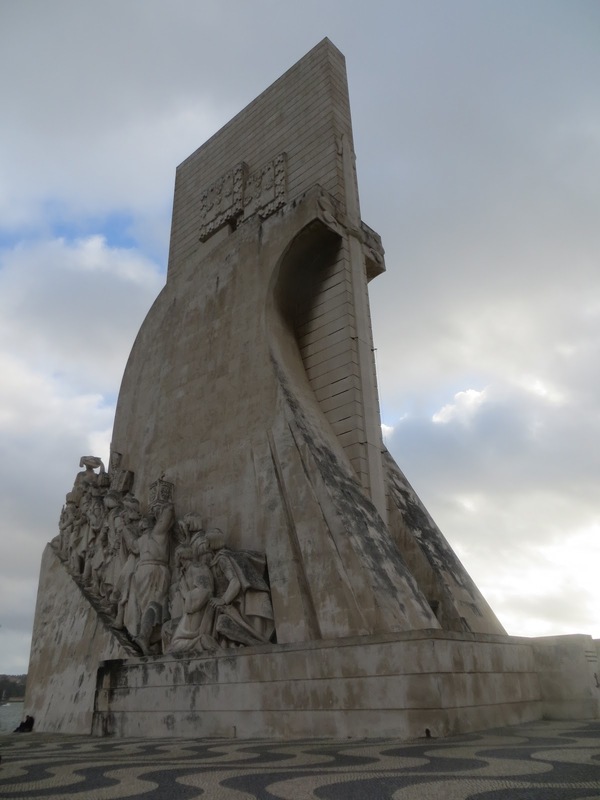 Once back in Lisbon, we ventured into the city to find some dinner and wander around the shops a bit before relaxing at the hotel for the night and climbing into bed early. The next morning we packed up our bags and made the long journey back to Sevilla where we were, once again, greeted by a delicious home cooked meal and the smiling face of my senora. I'm starting to think that's a sight I'll never stop being thankful for!